This is my hut! It’s my home for the next ten weeks. 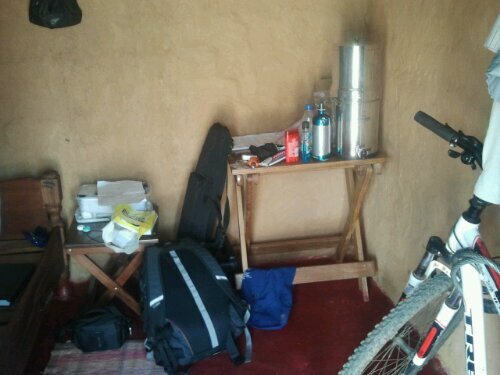 Inside is one room with mud walls and a painted cement floor. The entire room is about 8′ by 9′, so a flea would call it pretty cozy. Only the essentials in here! 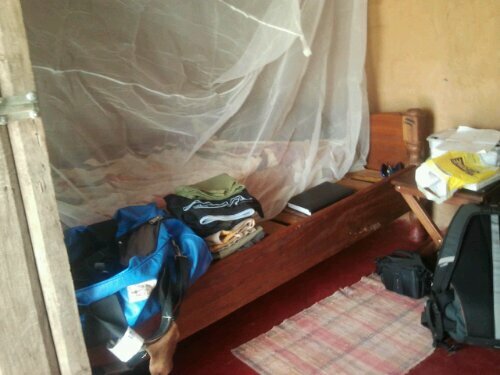 Mosquito nets are crucial here. Malaria is a real threat, and I’m taking malaria prophylaxis weekly. One of the side effects is having extremely vivid dreams. I’ll keep you updated. 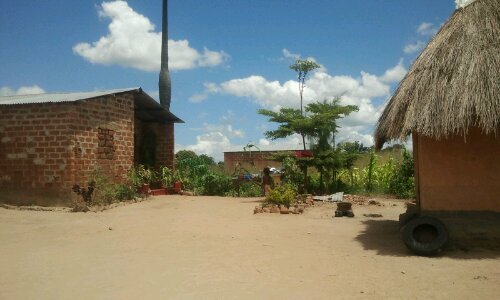 This is my family’s compound. See all that freshly swept dirt? Zambians sweep compulsively. Apparently it’s to sweep out the bad juju from the house. Or to keep grass from growing, which makes it easier to see snakes. Mom and Dad, you finally got the little girls you always wanted. These are some of my host sisters. 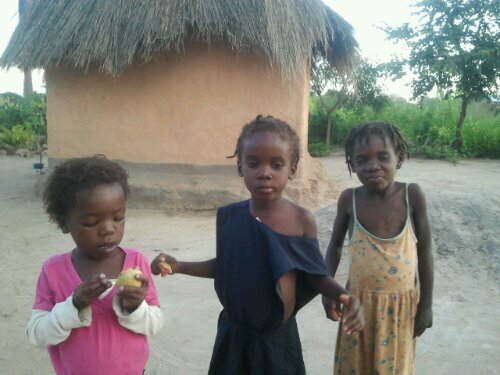 The two on the right, Malenga and Mwila, are trouble on wheels. They crack their toothy grins and I’m like putty in their sticky little hands. Malenga walking me to school. On the first day of language class, my host mom (bamayo) took me to make sure I didn’t get lost. 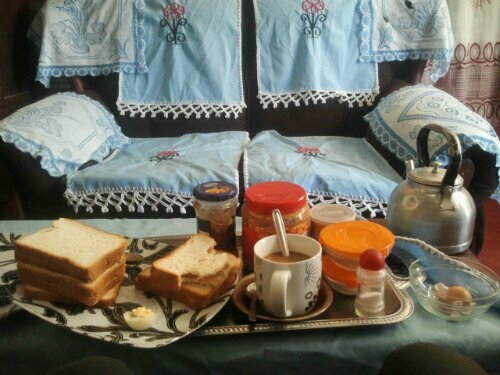 She also made me peanut butter and jelly sandwiches with hot chocolate for breakfast. Yes, it is kind of like I’m five again. 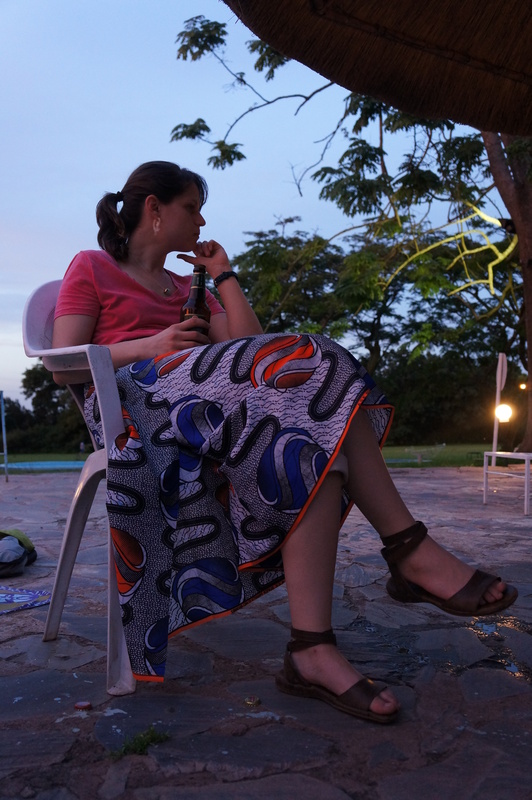 Kate wearing a chitenge, a type of fabric that is ubiquitous in Zambia. Women use them as skirts, men can get them tailored into shirts and suits, and everyone uses them as drapes, towels, and even water filters. Mine is bright orange. A little taste of Zambia in three pictures. Three pictures that took an hour to upload. They weren’t kidding when they said everything is slower in Africa. 1. It’s good to be a hypochondriac. I got a small cut on my finger during dinner last night, which I thought nothing of until chatting with a PCVL (Peace Corps Volunteer Leader, one of the volunteers who is helping out with training) this morning who told me a horror story of what could happen with an untreated (or even treated but detected late) infection. Long story short, I could have had my finger amputated given enough time and the right recipe of bacterial soup. I didn’t need to be told twice. I hightailed it back to my room and applied both antiseptic gel and antibiotic cream. 2. It’s not good to get malaria. We have to take malaria prophylaxis pills every day. Our first dose was yesterday, and not a moment too soon because I got bit by a couple of REAL ZAMBIAN MOSQUITOS last night and could possibly have contracted REAL AFRICAN MALARIA. I’ll be taking my prophylaxis faithfully for the next 27 months, you betcha. 4. Yes, the bugs here are larger and more numerous than in America. This is probably the first stereotype of Africa that I’ve seen ring true. The giant wall spiders in my room at night luckily don’t move. Except when they do, and then they move freakily fast. On a side note, thank you for reading my blog and a special thanks to those who post comments! My internet is slow and unpredictable, so I can’t comment back on them or check other social media sites, but know that I read them and appreciate them. 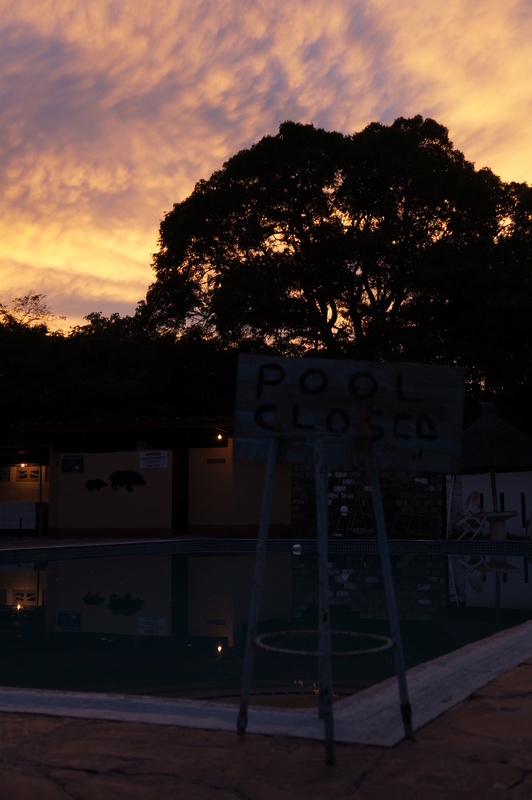 After a 3-hour bus ride to New York, a 4-hour wait at JFK, a 15-hour flight to Johannesburg, a 2-hour layover, a 2-hour flight to Lusaka, and finally a half-hour bus ride, we’ve arrived at The Barn Motel, a motel/small resort-type complex outside the capital city of Zambia. I’m hot, sticky, have eaten too much, pooped too little, and slept about 4 combined hours in the past two days, but I’m here! Group photo at Kenneth Kaunda International Airport in Lusaka, Zambia of the new Peace Corps Trainees. 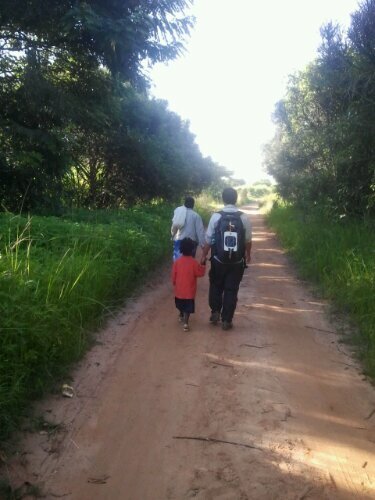 Photo provided by Peace Corps staff. I’m writing this from the Holiday Inn in downtown Philadelphia. Our training group of 43 bright-eyed, fresh-faced, and mostly Caucasian Peace Corps trainees met up at noon today for registration. 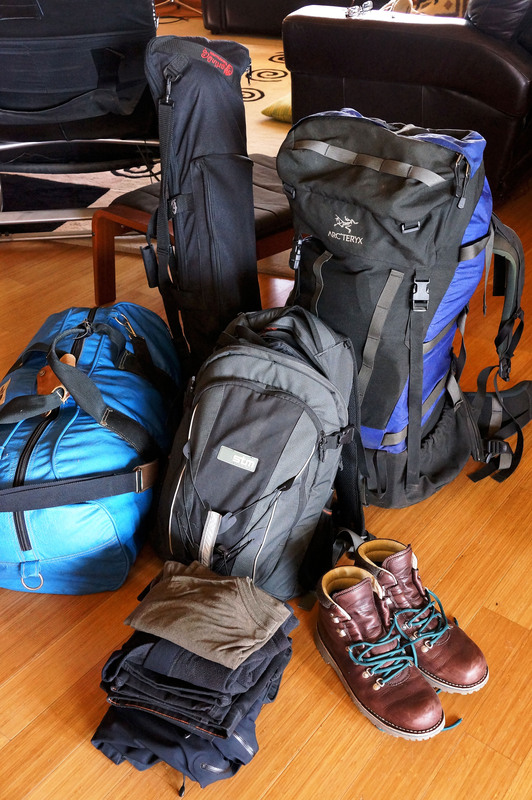 I, hopped up on four cups of coffee and bouncing off the walls, was ready an hour early and scouted for trainees as they arrived at the hotel, struggling with luggage larger than they were. Five of them were convinced I was a Peace Corps trainer when I greeted them with file under one arm and coffee in the other hand, offering to help lug their bags up to their rooms. I was not exactly displeased about this mistaken identity. Orientation was long but went well! Nothing unexpected or particularly new or harrowing, which in my book is a good thing. I am happy to report that I can still keep this delusion of being prepared and having everything under control until I step off the plane in Lusaka, Zambia at around noon on the 13th (Zambia is ten hours ahead of PST). 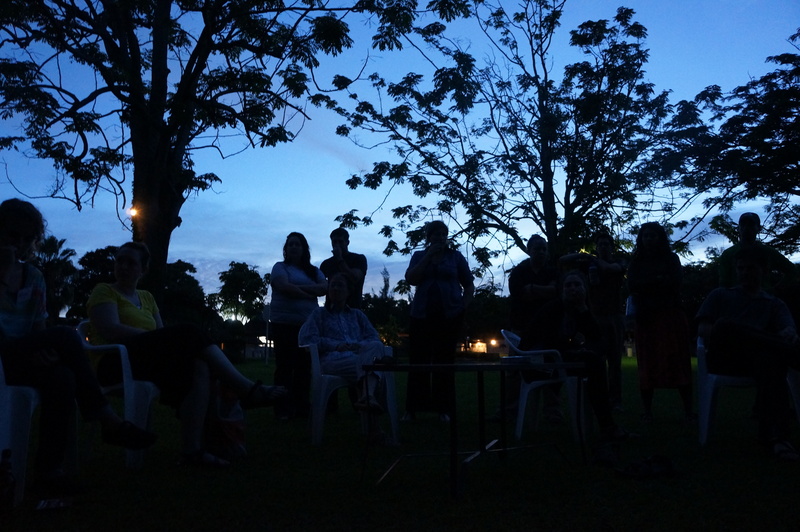 I’ve spent a whirlwind 24 hours meeting fellow Peace Corps trainees, exchanging backgrounds, sharing stories, identifying common dreams, exploring anxieties and fears. Bailey wins the distinction of being the very first fellow trainee I met after I nearly died dragging my 100 pounds of unwieldy luggage across four terminals. Despite the stress and mayhem of trying to wade through seas of travelers and navigate a shuttle to the hotel, I bonded instantly with this tiny, vivacious Texan and we became fast friends. Other trainees transformed from names on Google Docs and Facebook profiles to friends in quick succession. Katie from Seattle. Meggan from Marin County (the only other Californian!). Holly from Texas. Travis from Pittsburgh. My roommate Anthony, a cool dude from Wisconsin. I spent 45 minutes deep in conversation with Adam from Utah at 11:30pm in the hotel lobby. We had met for the first time not ten minutes before. By the beginning of orientation today, I had met and had personal, earnest conversations with nearly all of the 43 trainees (everyone except the late arrivals). 43 vastly different people, from all walks of life, traveling from every corner of the nation. Yet 43 people bonded by the same goals, hopes, and worries. 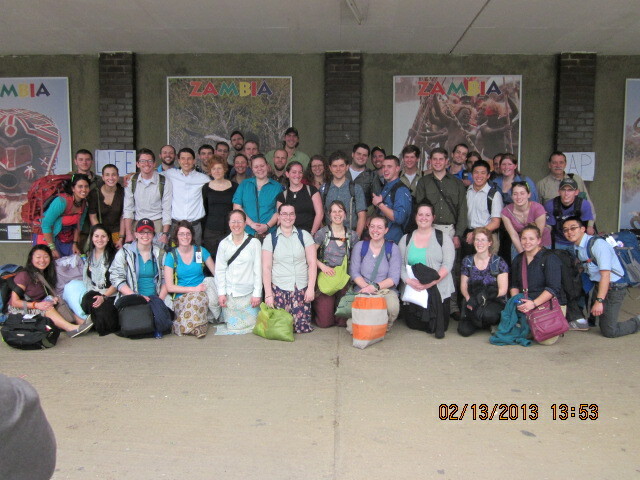 43 people who will soon arrive in Zambia and begin training for their Peace Corps service. One of my main priorities for the past few days (okay, the past few months; OKAY, the past two years) has been to be careful not to develop too high or detailed of expectations for myself and for the Peace Corps. Expectations beget desires, which beget happiness and fulfillment. I am happy and fulfilled when I have what I want, and I have what I want when I have what I expect. So it stands to reason that if I have huge expectations for myself or for my Peace Corps service that will ultimately go unfulfilled, I will be unhappy. The overwhelming advice from current and returned Peace Corps volunteers is to go in with as few expectations as possible. However, telling myself to expect one thing (i.e. nothing) and actually expecting that thing are two very different animals. So what does this have to do with tigers in Africa? Well, first, tigers are animals. Second, I read a blog post this morning written by a Zambia RPCV who had compiled a tongue-in-cheek list of the top ten things she learned during her first year. And number eight on the list was that there are no tigers in Africa. Now, I know that there are no tigers in Africa. I paid attention in 4th grade biology. And yet, seeing this still felt like a gut punch to me. WHAT. There are no TIGERS in AFRICA? It’s Africa! Of course there are tigers! Tigers come from Africa. There’s a tiger in The Jungle Book. Oh wait…The Jungle Book wasn’t set in Africa. I paid attention in kindergarten movie time. Expectations are like tigers in Africa. I know I shouldn’t have them, just like I know tigers in Africa don’t exist. 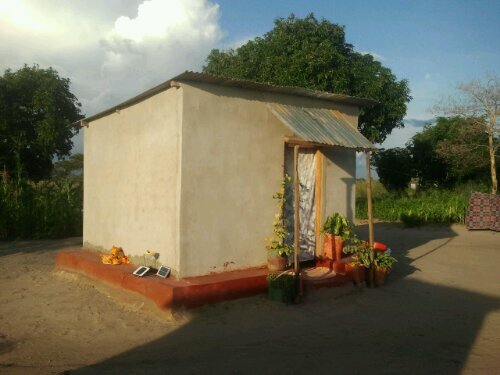 But try as I might, I still do have expectations for what the Peace Corps will be like, for how I’ll adapt, for what my mud hut will look like, for how awesome I’ll be owning 5-year-old Zambians in soccer, I mean, football. And try as I might, I can’t fully shake that fundamental idea, ingrained in my head since I made the discovery that Mowgli was ME (come on, we could be identical twins), that Africa has tigers. So here’s to finding or not finding tigers, shattering expectations and worldviews along the way. P.S. There actually are tigers in Africa. 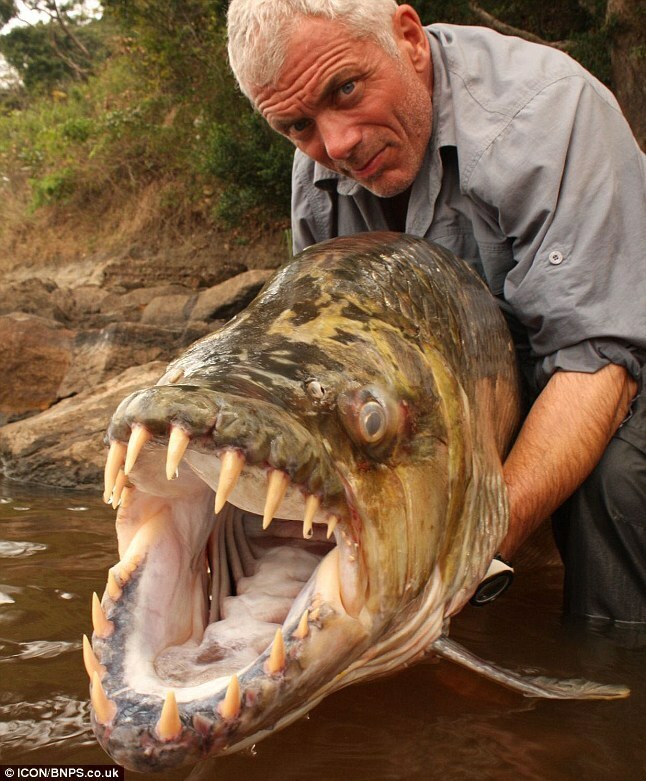 They’re called tigerfish, and they scare the living daylights out of me. I’m going to try to catch one.